Is this the best card for you? Maybe not. The points you’re earning with the Chase Sapphire Preferred are Ultimate Rewards (UR) points. Who backs them? Chase. What are they worth? Whatever Chase says they are, and they can change the value whenever they want. They are not airline, hotel or rental car points. This can be dangerous; if the bank shuts your account down (and they can do this for essentially any reason or no reason), they can take all of your points and there’s nothing you can do about it. The bank can devalue the points and benefits whenever they want, as other travel programs do. Points are considered a discount, not cash. This actually benefits you for tax purposes, but it’s not a good thing at all when it comes to your rights around devaluation. In short, you don’t have any. There have been multiple cases with different banks shutting down accounts of people who are too good at working the programs. You can legally count cards in Las Vegas and gain an advantage in blackjack, but the casinos can legally refuse to play with you. Banks play basically the same game with points. My recommendation is never to maintain high balances of bank points, because they could pull the rug out from under you at any time. Right now, you can get a 50,000 bonus points for signing up and an additional 5,000 points for adding an authorized user to the card. The catch? You have to spend a whopping $4,000 in the first 3 months of having the card. This used to be easy when you could buy Visa gift cards or Vanilla Reload cards and load them to an American Express Bluebird, which you could then use to pay your credit card bill. However, American Express shut this down last month, and ever since it’s gotten a lot harder. Are you sure you can spend $1,333+ per month on a credit card without buying a bunch of crap you don’t need? The worst part: If you don’t achieve the spending threshold, you don’t get the bonus. Simple as that. Chase is banking on this. Chase boasts that you can transfer points at a 1:1 ratio to travel partners. The problem is, most of their partners just aren’t very good. 40% of the transfer partners are hotel programs, and they’re the ones with the least valuable points in the industry. The airline partners aren’t much better (although there can be sweet spots with each one). Redeeming British Airways Avios points often involves paying hefty fuel surcharges and the best awards–on Alaska Airlines–can only be booked over the phone. Korean Air SKYPASS not only has a horrendously expensive award chart, but booking awards is a giant hassle and you can only book tickets for yourself and immediate family members (with extensive documentation requirements), not friends. And after the United award chart devaluation, it’s really only worthwhile to use Mileage Plus points on United–the least reliable airline in America. It’s not that there aren’t sweet spots in each of these programs that can make them worthwhile. It’s just that airline points devalue faster than Zimbabwe dollars, and hotel points are nearly as bad. 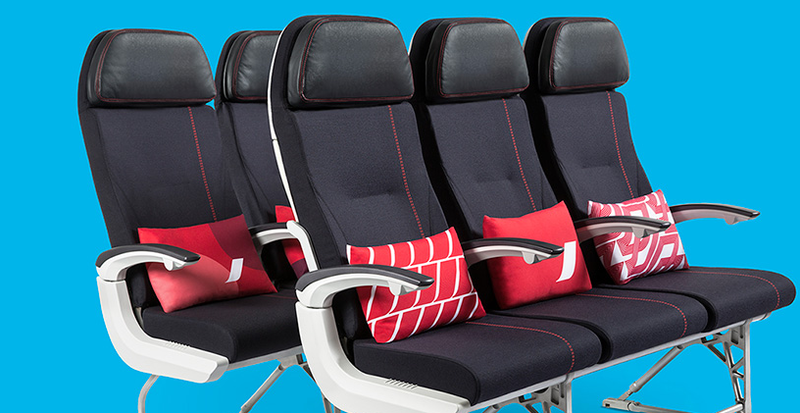 And if you want to earn airline points, the benefits tend to be much better with airline affiliate cards (for example, you get companion passes, drink coupons and free checked bags with many airline cards). “Get 20% off travel!” claims the headline. Unfortunately, there’s an asterisk, and it’s a big one: you can’t book your travel directly with hotels or airlines. Instead, you have to book through a Chase travel agency portal. And as you may have guessed, this doesn’t give you all of the options, and the prices shown are often higher than you can get booking through other sites. The “20% savings” might actually end up costing you money. 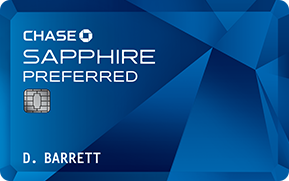 Should you get the Chase Sapphire Preferred? Sure, if you want to support your favorite travel blogger with a fat commission by using their affiliate link. Otherwise, it’s not the best travel card out there, and it isn’t by a long shot.